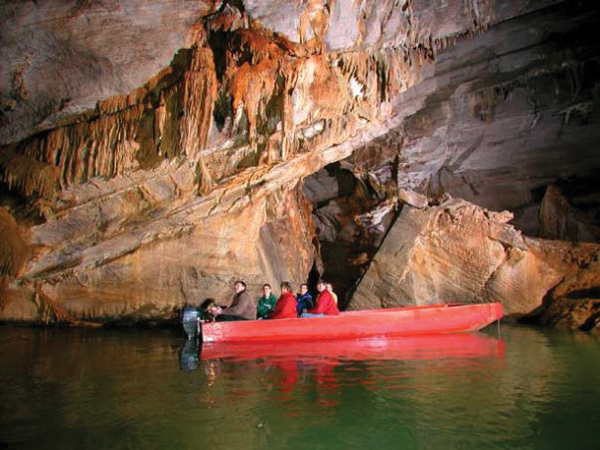 Touring America’s only all-water cavern. We usually like to do our own paddling, but today we let the tour guides do the work on a trip through Penn’s Cave. After the one-hour float through “America’s only all-water cavern & wildlife park”, we checked out the mountain lions, wolves, deer, elk, bison and Texas Longhorn calves in the wildlife park.